Customers have reported that their devices refuse to boot up, and freeze when the start-screen appears. The Zune was launched in 2006 as Microsoft's contender to Apple's highly successful iPod player. Discussing the cause on some user forums, some owners have said they believe the problems are due it being the first time the Zune will have updated its calendars following a Leap year. On the Zune Insider website, Microsoft said it had been aware of the problem since early in the morning of December 31. It said its technical team "jumped on the problem immediately and isolated the issue" - a fault in the internal clock driver related to the way the device handles a leap year. Said Microsoft: "The issue should be resolved over the next 24 hours as the time change moves to January 1, 2009. "We expect the internal clock on the Zune 30GB devices will automatically reset tomorrow (noon, GMT). "By tomorrow you should allow the battery to fully run out of power before the unit can restart successfully then simply ensure that your device is recharged, then turn it back on." 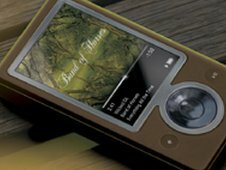 When Microsoft launched the Zune in 2006 the company hoped it could become a serious rival to the iPod player. But sales of the Zune so far have been a fraction compared to Apple's best-seller. The problem appears restricted to 30GB first generation Zune players. Later 80GB and 120GB models appear to be unaffected.